If there is a lingering smell of cat urine in your home and you are sitting with your hands in your hair, not knowing what to do, your cat might be guilty of spraying. As much as we love them, this is one behaviour that makes cat owners shudder. Health problems With all behaviour problems it is important to first rule out a health problem that can cause the unwanted behaviour. In the case of cats and spraying, a urinary tract infection might be the culprit. The discomfort your cat experiences might cause her to not make it to the litter tray or an appropriate spot in time. Privacy Cats are quite classy when it comes to their bathroom habits. She might not feel comfortable with where you have placed her litter tray. Make sure to regularly clean it and place it in a spot where she won’t be bothered by other pets and people. When change is not as good as a holiday Just like with people, dealing with change can be stressful for your cat. 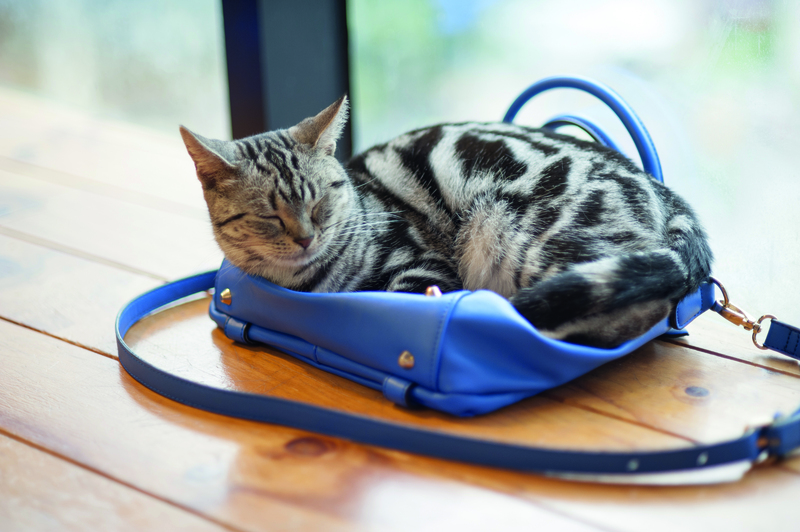 Both a new pet in the house or a baby can cause a great disruption in your cat’s life. All of a sudden she needs to deal with a change in routine, noises she is not used to, as well as less attention from you. It might be difficult, but try to spend some quality time with your cat. Also provide her with some ‘safe places’ where she can go when she needs some alone time away from it all. Stop bugging me! If the cats in your household for some reason don’t get along, stress can cause your cat to spray. A qualified behaviourist can assist you in restoring the peace. New kid on the block Your cat might spray to protect her territory should a strange cat invade her space, and as they sometimes do, steal her food! Try to keep the invader out of your house. So bored … So often our daily lives are simply too busy to spend time with our pets. But they do need human interaction and playtime to avoid boredom and frustration. Unfortunately, spraying will provide some relief to a cat who is bored, so do make time for some quality time.